Where to buy 3D models? You can buy 3D models on many marketplaces. Those marketplaces are working thanks to communities: people upload their designs and you can buy them. You’re looking for 3D printing ready, 3D computer graphics or low poly? You can buy any 3D model you want thanks to those databases! Why could you buy 3D models? You may be a hobbyist, a digital artist, or an engineer: there are many reasons why you could want to buy a 3D model.You may want to 3D print an object but you don’t have any 3D modeling software to create your part. Moreover, you might not have 3D designer skills. Everybody is not able to design a 3D model from scratch or use a 3D modeling software. You don’t have the skills to design? You just don’t have enough time to create your 3D model? Or maybe, you’re just looking for some inspiration? You don’t have to design a 3D model on your own to experiment 3D printing. We are going to help you solve this issue. Indeed, there are a lot of marketplaces on the internet where you can buy 3D models. Where to buy 3D models for 3D printing? There are a lot of databases offering 3D models, for CG projects, video games, 3D printing or whatever you want. But you need to know that all marketplaces don’t target the same users. For instance, some of them are especially targeting people who want to 3D print objects. But keep in mind that you can also print a 3D model from another marketplace if the 3D model is in the right format. The more common format for 3D printing is STL files. Moreover, there can be a lot of criteria to choose a database to buy a 3D model. Some of them have a large library or want to improve the communication between the members of the community. Other ones are precisely targeting people who want to 3D print objects, and are ensuring the printability of the file. You have to pay attention to all of these details to make the most of your research for the perfect 3D model. You can buy your model, and if you want to customize a little bit the design, you can work on the file if you have a 3D modeling software. This way, you still save time and the part will be optimized to perfectly fit your needs. Some of the marketplaces are offering free models because they are based on the principle of collaborative content, but if you’re looking for professional models to print, it has a price. Most of the marketplaces are selling 3D designs modelized by talented designers, that have to receive royalties on their creations. Some marketplaces are more oriented for professional users and other ones are really for curious makers. However, professionals can perfectly find the part they are looking for on a marketplace targeting hobbyist, we advise you to take a look at all of those marketplaces. Grabcad is a platform mainly used by professional designers, manufacturers, engineers. This marketplace is not for everybody, but if you’re looking for specific objects or pieces, it could be very useful. CG Trader is one of the largest marketplaces to find a 3D model. The community is composed of professional designers. CG Trader allows the buyer to choose between different file formats. One of the great advantages is that the buyer can easily communicate with the designer of the model if he has any questions. On this marketplace, you can find a lot of models optimized for 3D printing, from figurines to engineering parts. Moreover, they have a huge community with more than 1 000 000 members that are sharing their creations. Turbosquid allows you to buy your professional models. They are claiming to offer high-quality models specially made for professionals. It will help you to be more creative thanks to its large library of models. Models are not really optimized for 3D printing, but you can find some models to 3D print. On Cults 3D, you can buy anything from basic models to highly detailed and more professional models. The quality of the 3D models that you can find on this platform is good. You can find affordable parts that will really fit your needs. There are many advantages to using this platform. For example, they are offering a lot of discounts to their members. If you’re a hobbyist, looking for fun parts to 3D print, you have to check 3DShook. You can print amazing jewelry and a lot of fun accessories for your house, your office, or your daily life. With its fun and chill interface, 3DShook is a well-organized marketplace where you can find a lot of different categories. They are updating the designs regularly, and all the 3D models are already tested. This marketplace is quite special as it is using a subscription model. You pay for the subscription each month and then you can download all the 3D models that you want. 3Docean is part of Envato Market which owns different marketplaces, but also a studio, allowing to hire designers for a project for example. It is a very complete marketplace, not exclusively focused on 3D models or 3D printing, but you can find a lot of new ideas and models. The first goal of Pinshape is to connect designers and makers through a user-friendly platform, to finally create a community marketplace. You’ll find on this marketplace a great collection of STL files to make your 3D prints. 3Dexport is a marketplace that is not dedicated to 3D printing, but you can find a good 3D printing category. 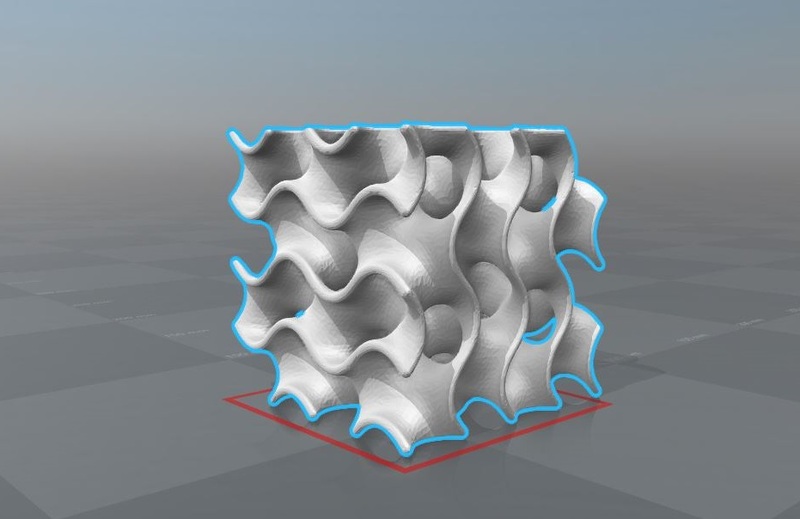 A lot of formats are available, and you can also find some tutorials linked to 3D modelization on their website. It can be helpful if you’re not a professional and that you want to try 3D design. If you can’t choose between all of those marketplaces, you can check Yeggi. You can find there all the 3D models of all the different marketplaces, it allows you to compare the different databases. Yeggi doesn’t have any original content, but it can be convenient when you need a comparison between marketplaces, to get an overview of the 3D models corresponding to what you are looking for. Bonus: get free 3D models! Here is a good news for you: Thingiverse is a database where all the 3D models are free. Those STL files are specially optimized for 3D printing as Thingiverse is really focussed on 3D printing. It is ideal if you’re looking for a model to print or for ideas of objects that you could 3D print. And it is really accessible and dedicated to anybody who wants to 3D print. MyMiniFactory is a marketplace allows you to 3D print free models. 6 000 designers have uploaded their models on this website. You’ll only find 3D printable objects. All of those databases have one specific thing in common: their community. They are all working on the development of their communities composed of professional designers, engineers or makers. Without them, those marketplaces couldn’t be as popular and efficient. We hope that you will find the perfect 3D model on one of those amazing marketplace. Do you want to learn more? Read this blogpost on 3D printing marketplaces. You finally chose a 3D model and you want to 3D print it? You can use our online 3D printing service ! You can also contact us to have more information about Sculpteo and our services.